We Drink Your Milkshake! 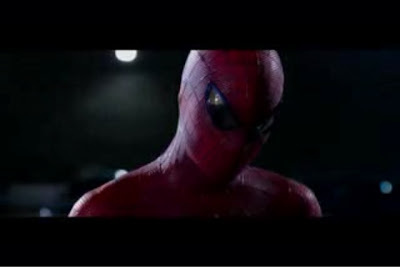 : Trailer Breakdown: THE AMAZING SPIDER MAN Trailer! Now With 100% More Emma Stone! Trailer Breakdown: THE AMAZING SPIDER MAN Trailer! Now With 100% More Emma Stone! 1) Oh man, you can see this movie was made for 3D! 1) Really, Peter? The fire escape? 2) Oh snap Dennis Leary JUST got off the set of RESCUE ME and started doing this movie! 4) Oh man! Spidey is a graffitti artist now? 5) Oh insulting your girlfriend's dad's line of work? 6) I'm not gonna lie, some the jokes are as funny as Shia LaBeouf dialouge. 7) OOO! He's angsty Peter Parker! Go beat up some jocks. 8) Interestingly enough, his parents come into focus here. 9) And now SPIDER-MAN joins the ranks of movies whose plot revolves around a briefcase. 10)Dr. Connors - a missing arm is a horrible motivation to become a villain, why not world dominations ;-). 11) Lots of random shots of The Lizard...yeah he looks Lizard-y. A little boring though. 13) These swinging scenes are what I'm looking forward to the most from this movie. 14) Whoa spoiler alert, Peter created The Lizard? He tells Gwen Stacy, too? Didn't Tobey Maguire's Spidey wait more than a movie to tell Mary Jane his secret? 15) The law of diminishing returns applies to the fact that Spider-Man is the only superhero that can't keep his damn mask on. Very careless! 16) Am I the only getting a Batman vibe from the whole "Let's arrest Spider-Man" bit? I know this has happened in the comics before, but in the collective consciousness a super hero being hunted by the police feels more associated to the Bat. 18) I'm excited for some Emma Stone type humor. 19) The skyscraper falling scene looks insane. THE AMAZING SPIDER-MAN comes out July 13, 2012. It is directed by Marc Webb and it stars Andrew Garfield, Emma Stone, Rhys Ifans, and Dennis Leary.